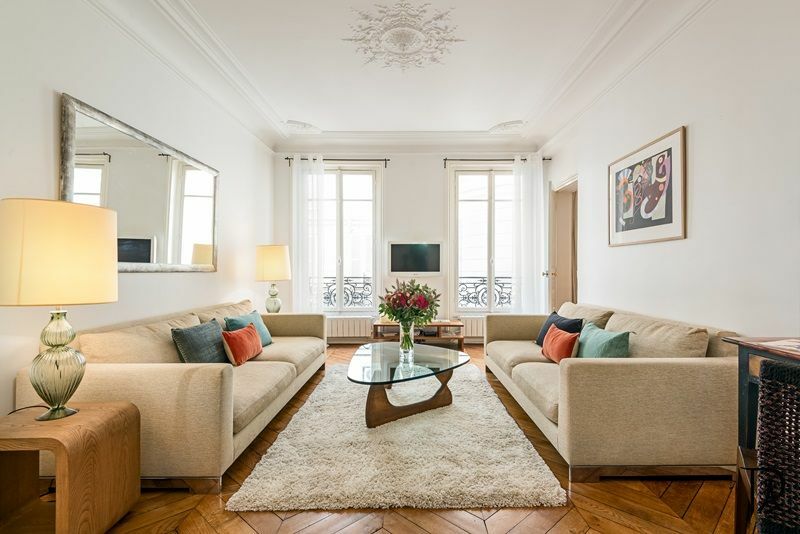 This charming apartment is located in a classic late 1900s building a short walk from Boulevard Saint Germain next to the Seine river and the famous “Pont Neuf” bridge across from the Louvre. 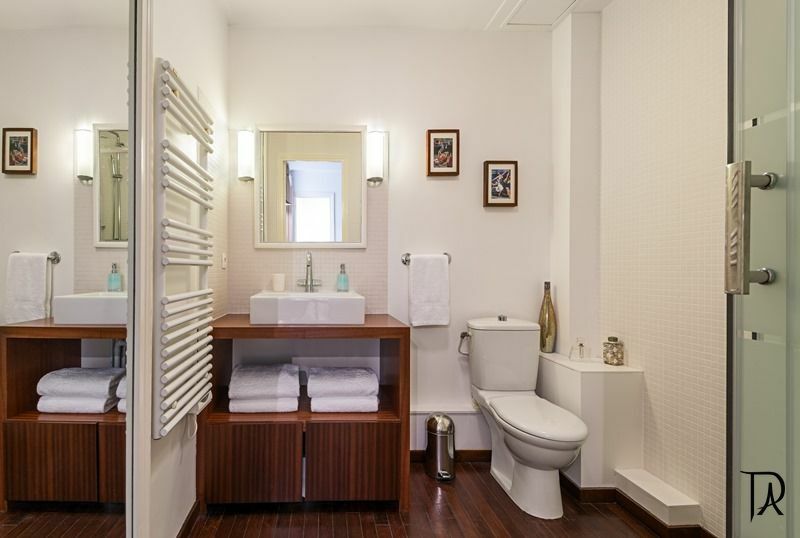 An elevator takes you up to this charming apartment comprised of two bedrooms with splittable king size beds, two en suite bathrooms, a separate living room and dining room area and a fully equipped kitchen with a dinning space. It has been entirely and elegantly renovated to create the perfect space for families or larger groups with this exceptional floor plan to make your stay so very charming. “The apartment was wonderful! It is as pictured and in a vibrant part of the city – cafes and patisseries right outside your door, along with art galleries and shopping. Walking distance to most everything ~ 5 star! The apartment was very clean and in very good condition. 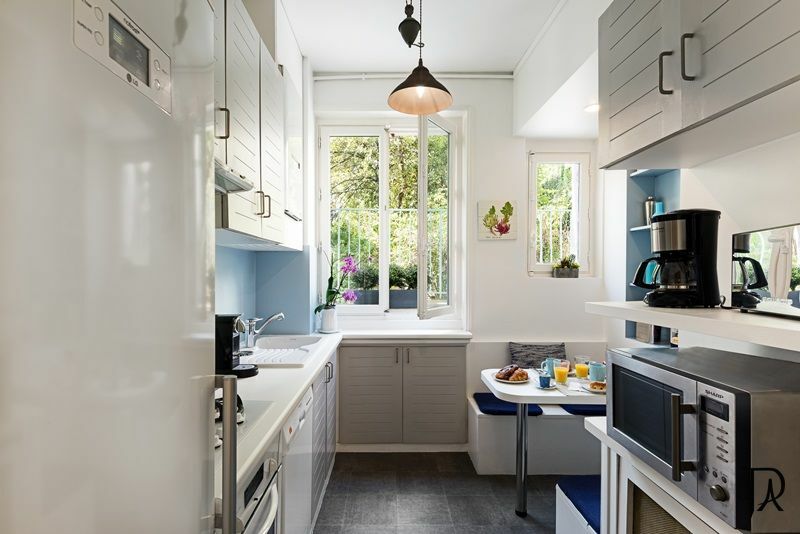 The kitchen was very pleasant and well equipped, as was the apartment itself with items such as extra linens and blankets. 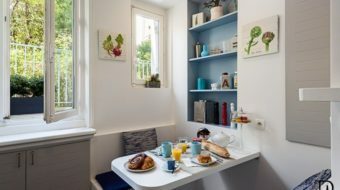 The apartment had both a breakfast nook and a dining room. The beds were very comfortable. The living room had two large, very comfortable sofas. 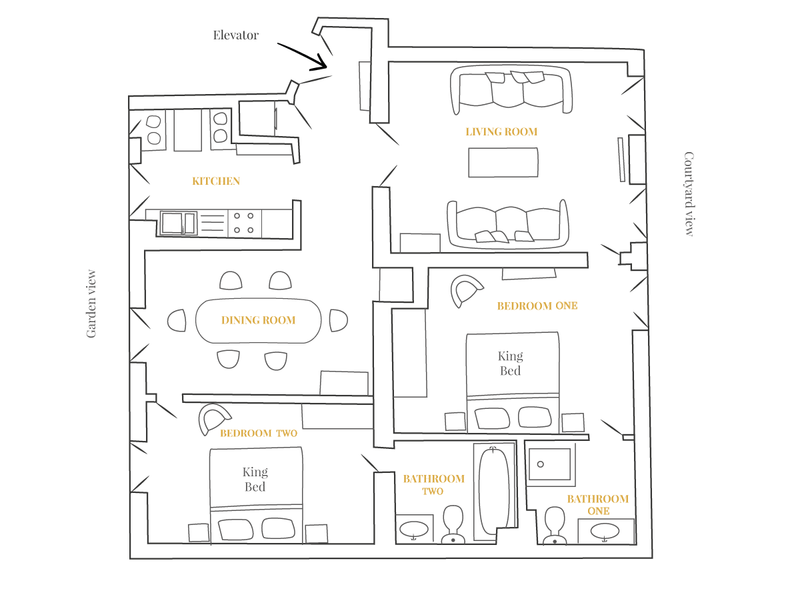 The layout and design of the apartment was very nice as the two bedrooms are distant and separated from each other. 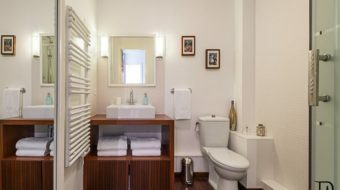 Each bedroom had a bathrooms which was very modern and comfortable, each containing showers which were well shielded to prevent wet floors. 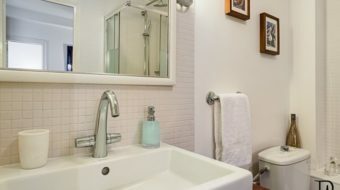 The toilet was located in the bathroom which was good, as the sink was therefore handy. 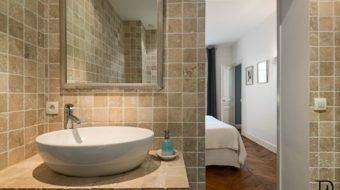 (We have experienced a number of Parisian apartments where the shower does not have any shielding rendering it useless in terms of flooding the floor. Also we have experienced the relatively common foul practice of having the toilet in an isolated room with no sink to wash up!). The building was very quiet, and since the apartment was facing two different courtyards, there was no street noise. 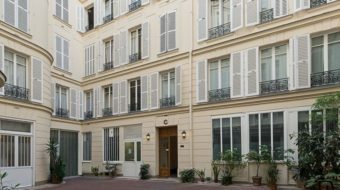 (We have rented Parisian apartments where the building itself is very noisy with people running up and down stairs, partying and screaming late at night. Also we’ve experienced apartments facing the street where there is tremendous street noise from nearby bars and people hanging about on the street). 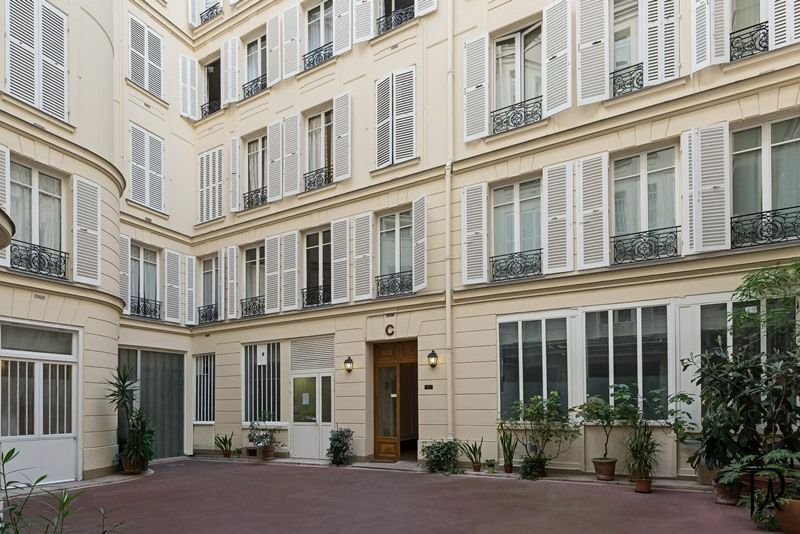 The courtyards were very pleasant, in good shape and clean, which is not always the case with Parisian apartments. The elevator was a plus for luggage, although the apartment was only a short flight up stairs up from ground level. The PVA representative, Fred, was very helpful He was very thorough in going over the apartment, introducing us to everything and showing us how things worked. This is a great place quite near Notre Dame and with plenty of restaurants nearby. 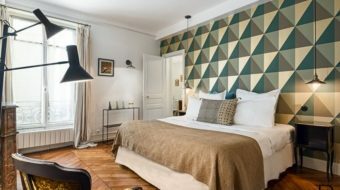 We thoroughly enjoyed our trip to Paris and a large part of that was having such a great place to stay. Check in was simple and was easy to contact owners if needed. Thanks Fred! Exactly like in pictures: a harmonious and elegant apartment in the center of everything. 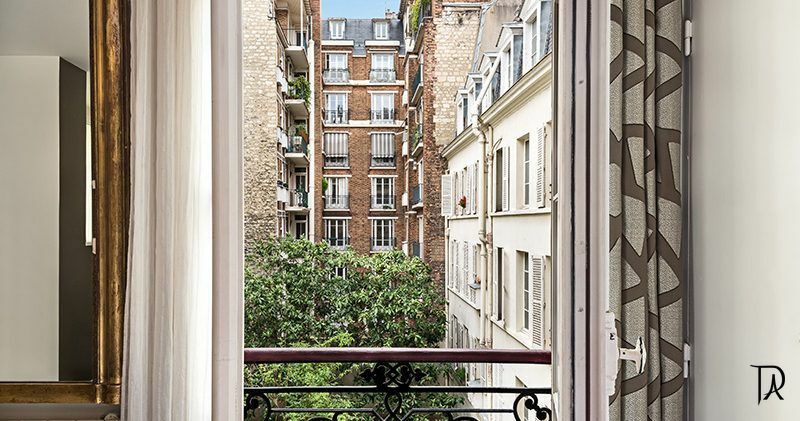 The location in a yard but with a view to a garden was perfect: tranquil, yet central – St. Germain was a brillian base to explore Paris. The owner Fred was friendly, everything went well. 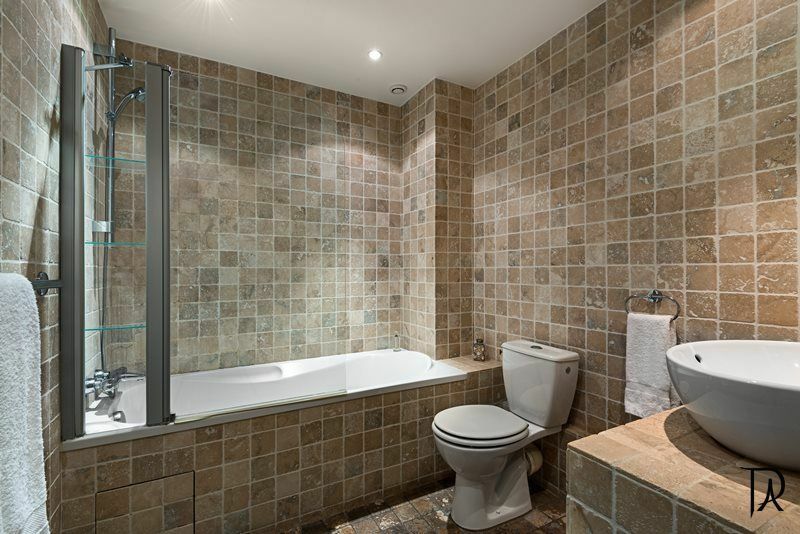 The two en-suite-bathroom bedrooms are on the different sides of the flat, hencehence there is lot of privacy. There are bars, restaurants, shops, important sights (including Notre Dame and Louvre) and metro/RER stations in the walking distance. We just loved the place. This apartment was just perfect for our family of four. We would stay again in a heartbeat. 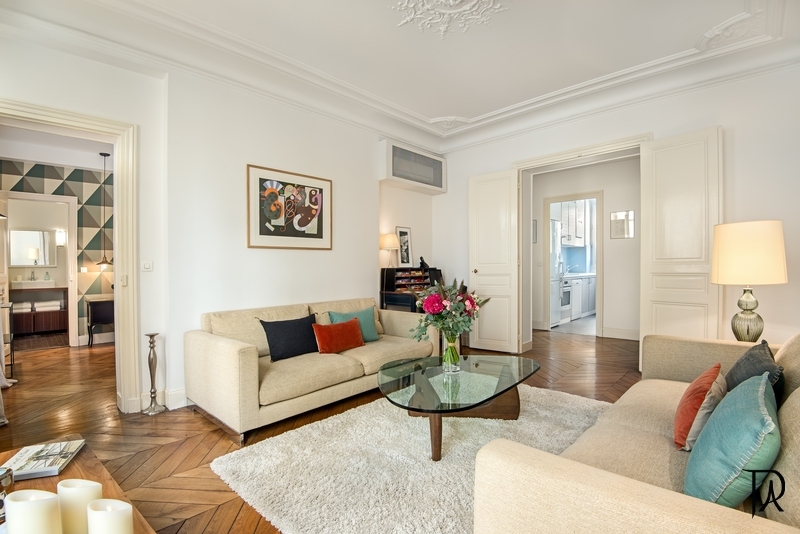 This is a fantastic apartment, and the host couldn’t have been easier to communicate with. Everything about our stay here was exceptional – highly recommended. 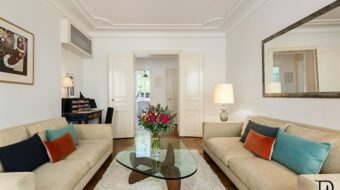 Great apartment in a great location! 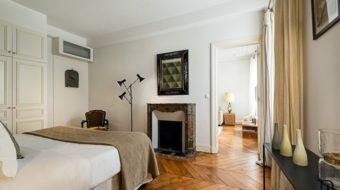 Our family loved staying here, close to the Louvre, Notre Dame as well as many, many cafes, shops and restaurants. The apartment was larger than expected, clean and felt safe. Would stay here again! “Wonderful experience with the host and the apartment. We were warmly made welcome by Fred and he reviewed with us all that we needed to know about the apartment. The instruction booklet and information that it provided was outstanding. More importantly, the apartment is very comfortable, perfectly clean and well appointed with everything one needs. The apartment feels more spacious in real life than the impression it gave me on the pictures. It is perfect for 2 couples. Fred Douek was a charming an very thorough host meeting us at the appointed time with flowers and wine. The apartment itself was well laid out, clean, comfortably decorated and quiet. Both bathrooms were very nice with plenty of hot water. The neighborhood is great for both a first time visitor – the not to be missed sites are all within an easy walk, and a frequent visitor with great restaurants, shopping and galleries close by. I would recommend this apartment for two couples or as in our case a small family. Semt çok merkezi, ev Paris standartlar?na göre geni? ve feraht?. Tüm ihtiyaçlar dü?ünülmü?, temizli?i yap?lm?? ?ekilde teslim edildi. Bebekle seyahat ederken kald?? ?m?z evde hiç bir eksik olmad??? gibi ekstra ihtiyaçlar?m?zda Fred çok yard?mc? oldu. Ayr?ca evde bulunan kitapç?kta hastane, yak?ndaki restoran, f?r?n, market gibi detaylar?n bulundu?u kitapç?k çok yard?mc? oldu. Kesinlikle tavsiye ederim. Thank you to everyone at Paris Apts! We had a wonderful trip to Paris! “Amazing Paris apartment. 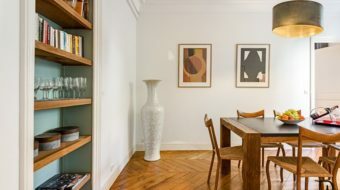 We try to get to Paris once a year and using Airbnb has made Paris so much more affordable. 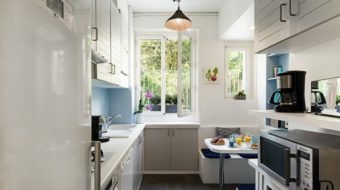 Unfortunately, most Paris apartments are tiny. But not this one. 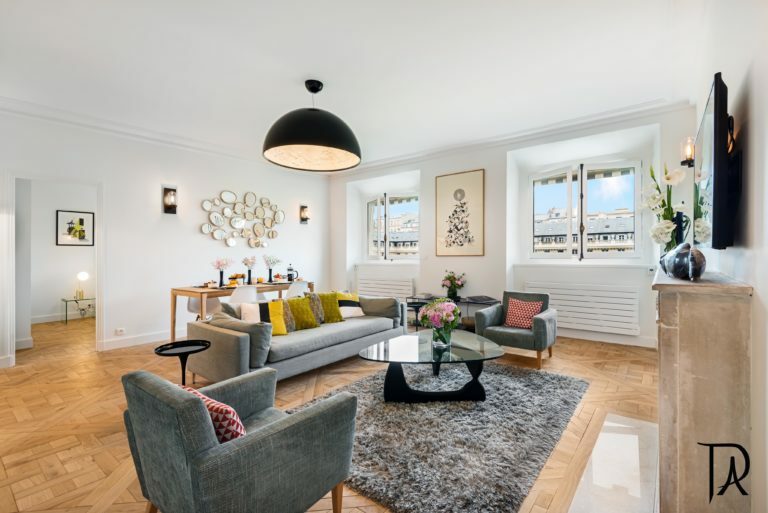 This apartment has two large ensuite bedrooms with KING SIZE BEDS–unheard of in Paris, a very large living room and a separate dining room. The kitchen, while a bit small, was perfectly appointed. Everything in the apartment worked and worked well. 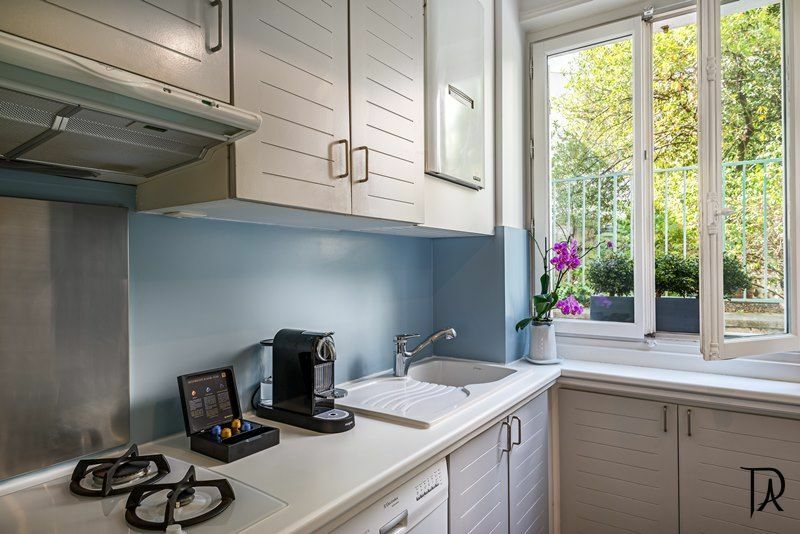 Oh yes, and there was a washer and dryer–again, very unusual for an apartment in Paris. The apartment was spotlessly clean. 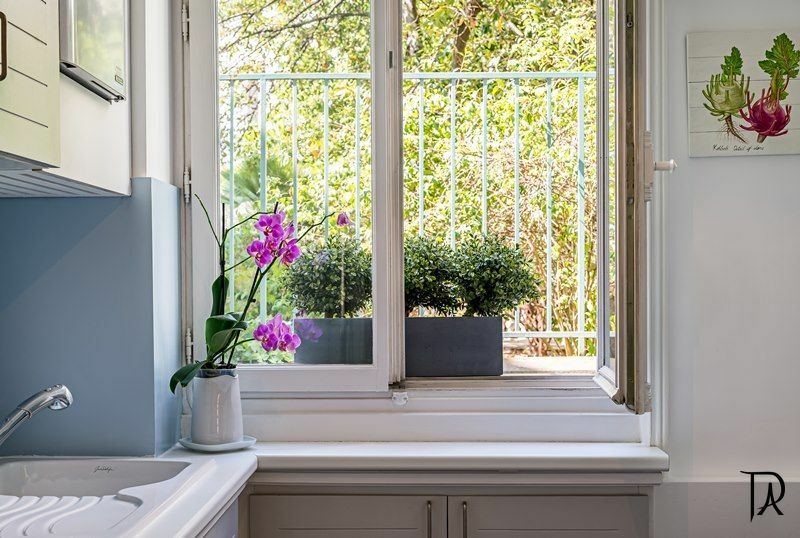 There are windows in every room providing lots of light and views of a very nice garden area. 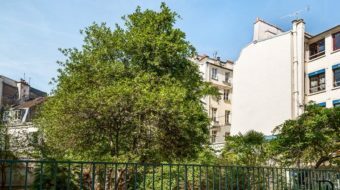 The location of the apartment could not be better IF you love the left bank, as we do–it is one block away from Rue du Buci and everything that neighborhood has to offer. Our host, Fred, made special arrangements to meet us late in the evening as our plane from Morocco was arriving late. He was there on time, he showed us the apartment and how to use all of its amenities, and took his time even though it was getting late. He was extremely pleasant and helpful. He also arranged for cabs–two different cabs at different times–for all of us to get from the apartment to the airport. The apartment comes with a very detailed guide to everything you could possibly want to do or anything you may need in Paris. We will definitely go back! P.S. I forgot to mention that coffee was provided along with a very nice bottle of red wine! The description of the apartment is very accurate and, if anything, unsells how lovely is it. 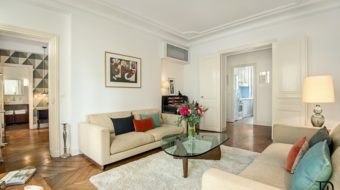 The location is wonderful and the apartment is decorated and equipped to a high standard. The texts we received on booking and before arrival were welcoming and well-timed. 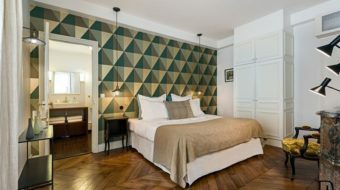 We wouldn’t change a single thing about our stay in St-Germain. “We were welcomed promptly and greeted by one of the assistants. The area was fantastic, felt safe and very walk-able. Restaurants in the area were open late and quite a few to choose from. All very good. The apartment was quite large and comfortable, the residence quiet and peaceful. For the (Website hidden by Airbnb) general, we were very pleased. A few upgrades would make this a 5 star rental. Sleep and a comfortable bed are essential for travellers, so new pillows are a bit overdue. Towels and linens all very clean and fresh… the robes, a lovely touch. New dishes and cutlery, a must to upgrade, as they seemed rather worn and gritty. Would definitely recommend this location and the apartment to any of my friends and colleagues. 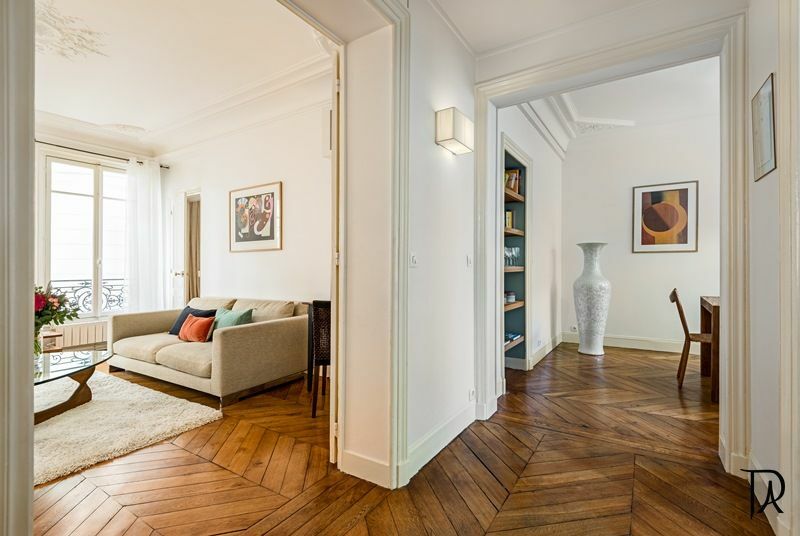 “This is a beautiful, charming, spacious apartment located in the heart of Paris. Fantastic spot! Fred was very welcoming, extremely accommodating with our last minute reservation. He made us feel at home right away. The apartment is very quiet, very confortable and has everything you need. “I’m really speechless! 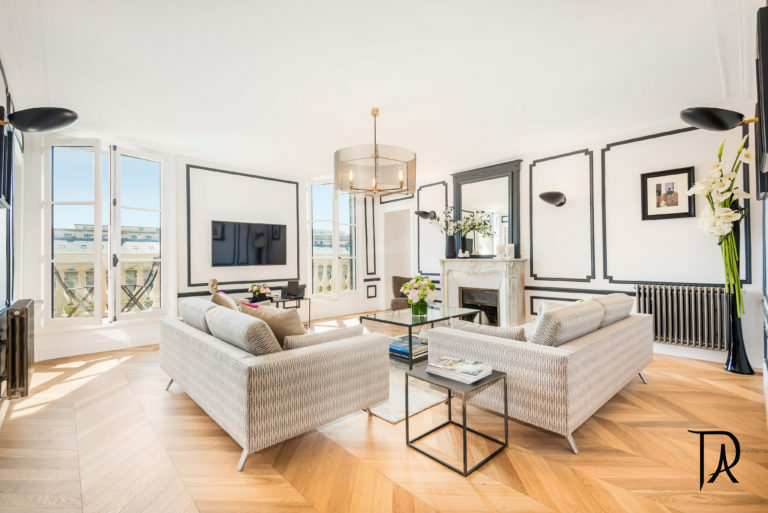 It’s not so easy to describe the excellence and perfectness of this apartment, but I’ll give it a try… 🙂 Frédéric introduced the concept of perfection into hospitality. The apartment and all it has to offer was just perfect. EVERYTHING was fantastic. The apartment was so clean and in a great location. We really loved the neighbourhood. It was very live, yet so secure. Fred and his colleague Pierre-Louis were so kind to us. They took care of our shuttle reservation for the way back home, they even helped us, 4 ladies with bunch of luggages 🙂 Fréd prepared a great guide book – kind of “”bible”” for tourists – where you can find written everything… I really do mean everything that you will need during your whole stay, from the moment you arrive to the moment you leave. Maps, restaurant recommendations in each zone of the city, emergency and medical care numbers, description of the easiest way to get around the city, shops and facilities around Rue Dauphine… Metric convertions (pretty useful especially for American tourists), basic French survival phrases and some useful websites were included too… The courtyard was lovely. The view from the kitchen, the backyard was calming, so beautiful to look at when you enjoy your morning coffee. I’m glad I had the chance to rent this apartment as it gave me the chance to enjoy my holiday even more. It’s great for couples, families and for friends. 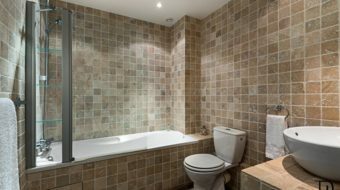 There are 2 bedrooms and two bathrooms in separated areas of the apartment which is so comfortable. Great value for a perfectly located and neatly furnished apartment. It’s so comfortable and well maintained. It is bright which makes you feel immediately positive when you step inside. There was even a complimentary bottle of wine, left for us on the table next to the kitchen… Can you believe that? Highly recommended!!! 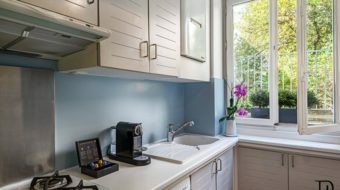 “Fred was incredibly accommodating from the moment we confirmed the booking — providing information about the apartment and the city. He checked us in to the apartment in person and was very thorough and focused on making us feel comfortable. He contacted during our stay to ensure we were happy. 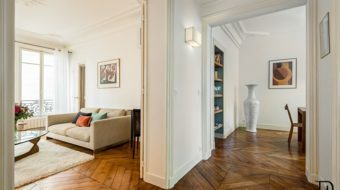 This is the best apartment we have stayed in while visiting paris! Perfect location, quiet, very clean, well-appointed. Fred is a fantastic and accommodating host, he worked around our busy schedule (we were in paris for work). 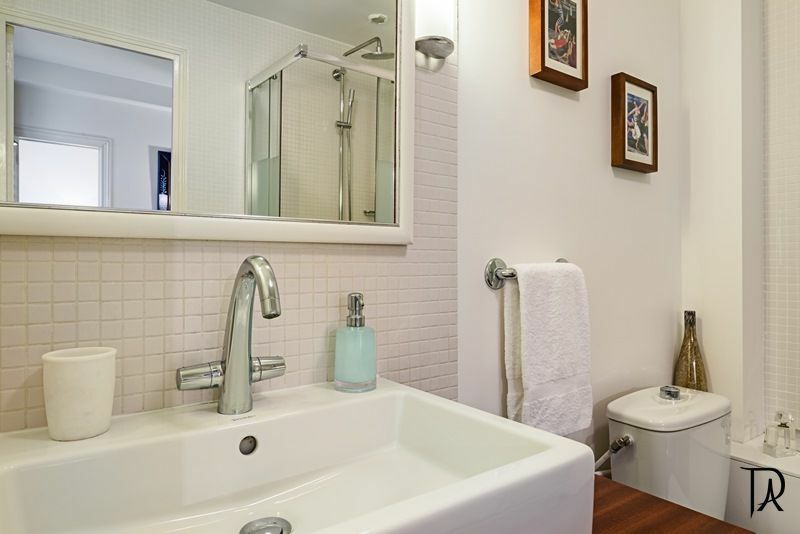 It’s perfect for two colleagues, since there are two separate bedrooms and bathrooms. Would not change a thing — we highly recommend and will be back. Thank you!! 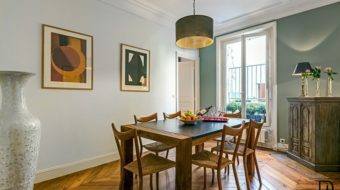 The apartment is well-situated in a beautiful building with secure access from/to a relatively quiet street bordering the Saint-Germain and Latin Quarter neighborhoods. Not only is it a short walk to experience the ambiance of these areas, it is also an equally short walk to the Pont Neuf and the Seine. 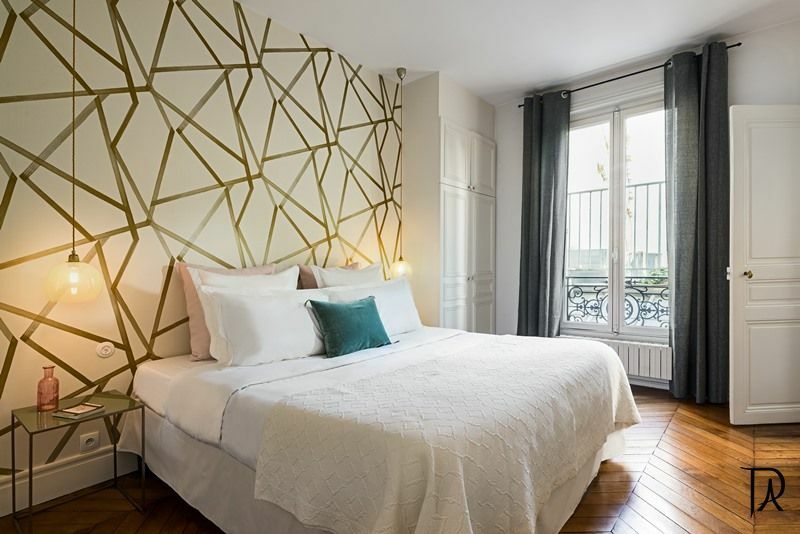 We could not have chosen a better and more convenient location – restaurants, shops, Metro stops, the Louvre, and the Ile de la Cite all within close range. The apartment itself is spacious, comfortable, and well-appointed. Our party of four greatly enjoyed our stay and would not hesitate to recommend your company to others. 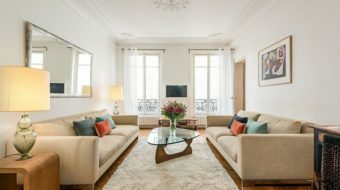 None of us had previously visited Paris so we relied on the information on your website to guide and inform our rental selection. Working with PVA via the internet and email proved to be a a most positive experience only to be reinforced by your helpful and responsive on-site staff. We were delighted by this apartment. It is beautiful, gracious and extremely convenient. It has beautiful touches such as the artwork and pure silk curtains in the drawing room. Mid-winter, it was warm, everything worked, and we were given an excellent and full introduction, backed up by a printed booklet left in the apartment in case we forgot. Great to have wi-fi and the use of the phone. All the organization was smooth and professional. 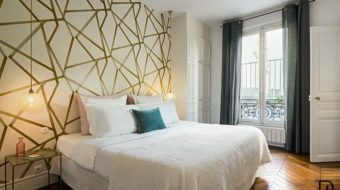 We loved it and have already booked another apartment with Paris Vacation Apartments for next January (because we want to get to know another area of Paris). This apartment was perfection. 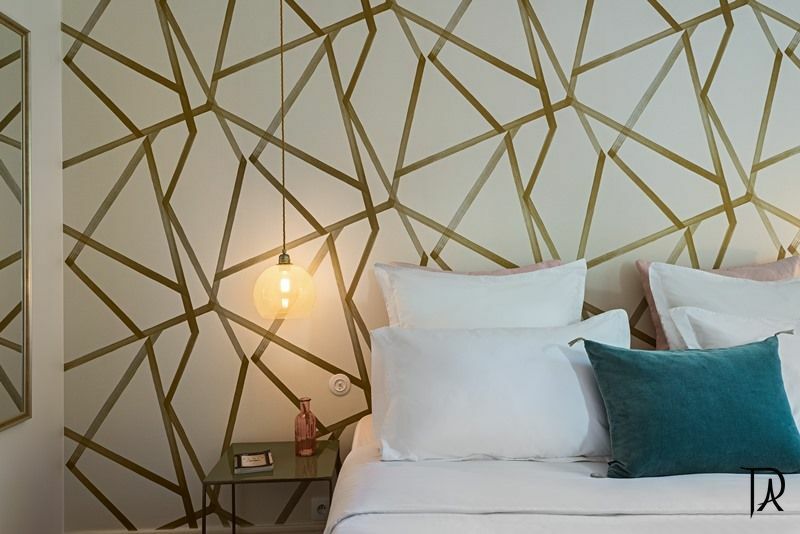 Two big bedrooms, each with plenty of storage space and beautiful, modern bathrooms with every amenity. Great kitchen, too. Even a phone from which we could make free calls to landline phones in the U.S., which was such a help. The location of this apartment is unbeatable. It is right in the middle of a great, lively, convenient neighborhood with lots of terrific shops, bakeries, etc. and only a few blocks away from the Metro, but it is set back in a courtyard, so it was very quiet and peaceful. But perhaps best of all was the service we received from PVA. Their representative (Fred) was at the apartment when we arrived and thoroughly oriented us not only to the apartment, but to the neighborhood. He had picked up fresh croissants and wine for us. He gave us his cell number, which we used several times when we had questions. I’ve rented apartments in Europe before, but NEVER received service this territic. We liked the apartment very much. 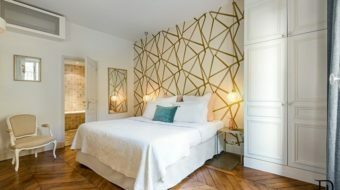 It is impeccable, very nicely decorated, extremely comfortable, The size of the bedrooms and bathrooms is amazing for Paris, the king size beds a luxury. The kitchen was adequate, comfortable to eat in and very sunny, the only missing thing for us it’s an expresso machine ( we are coffee fans ). 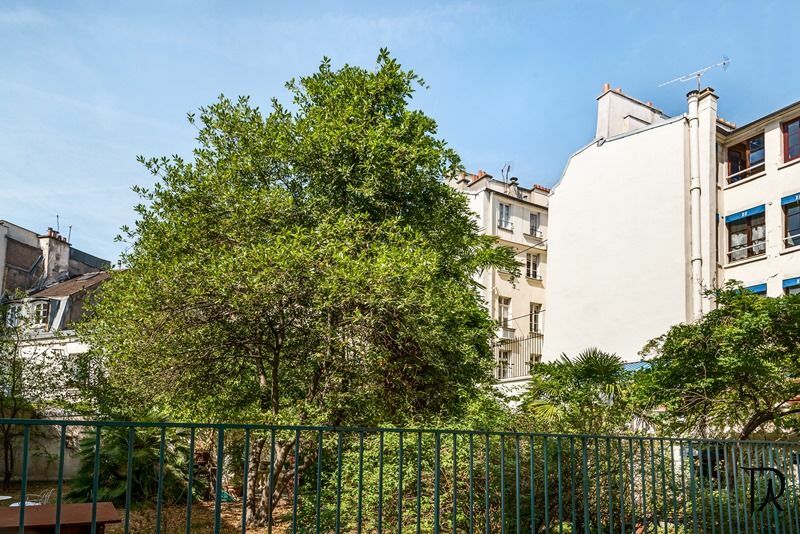 The location on Rue Dauphine is perfect, close to everything and still very quiet at night. We will come back for sure. The level of dedication that PVA gives it’s clients is excellent. From the moment we contacted them until the moment we left the apartment everything worked perfectly. They even received for us concert tickets we had bought online . Dominique was on top of every detail. She greeted us with wine , a beautiful bouquet of roses and croissants and left for us champagne and chocolates on Christmas, a very nice touch. She called a couple of times just to make sure that all was perfect. The process of payment was smooth and transparent. I found it expensive only because I was hosting my guests. If sharing…good value Attractiveness: 7 Overall: 9 This apartment was in a great location. We found no faults…was very well equipped and Fred was very friendly and helpful. We would stay again and recommend to our friends without hesitation. 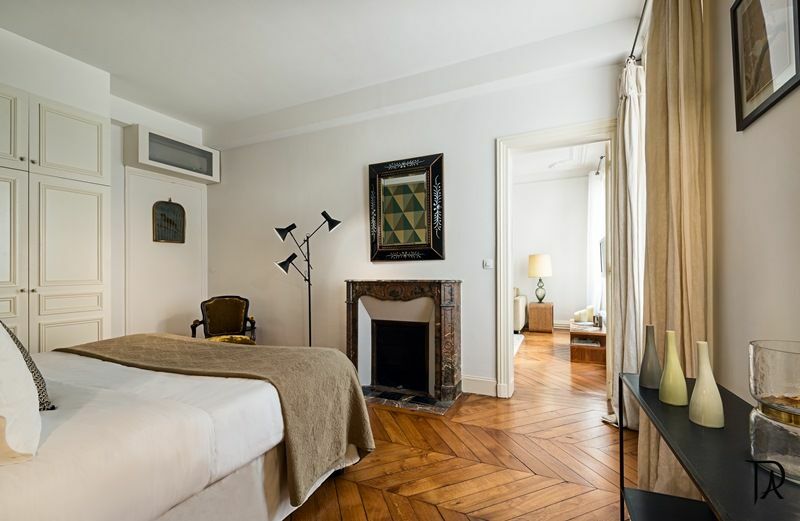 For the past several years, my girlfriends and I have rented an apartment in Paris in January versus booking a hotel. The difference is incomparable! First, one really becomes acquainted with and part of the neighborhood. Second, after a day of shopping and/or sightseeing it’s like coming home, throwing off one’s shoes and enjoying a bottle of French wine, pate, fruit and a baguette. We have rented from Alexander Mony for the last two years. 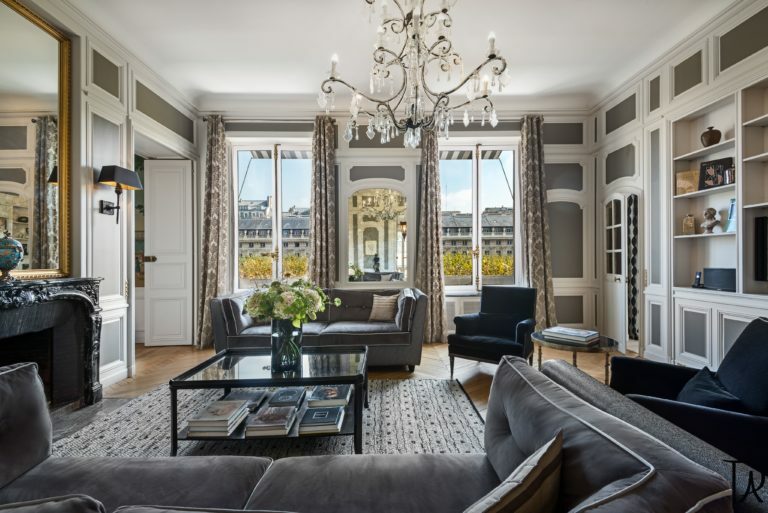 The first apartment was in the Palais Royal and the second was on the Left Bank. Each apartment was meticulous, the agent met us at the apartment on our arrival from the airport, explaining every detail of use of the kitchen appliances, the washer/dryer, the internet, etc. If we ever had a problem during our stay, it was taken care of with a phone call. 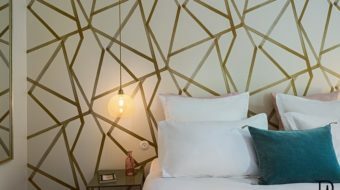 If you are considering renting an apartment as opposed to booking a hotel, you couldn’t be dealing with a more reliable and responsible agent. This apt is quiet and very nicely located. It is near galleries and good restaurants. There were quite a few spices, and oils that previous occupants left which came in handy and the apt management provided plenty of tea and coffee for use by occupant. We were happy with the services provided and the good recommendations given. There is a lovely garden that can be seen from a few of the windows in the apt, that despite it being winter was a lovely space to look out upon every morning. The apartment was in a perfect location, nice living space, quiet despite being in a busy area, comfy beds, just an overall great experience. And thanks to Fred for meeting us when we first arrived and giving us loads of tips, for restaurants, shops, etc. 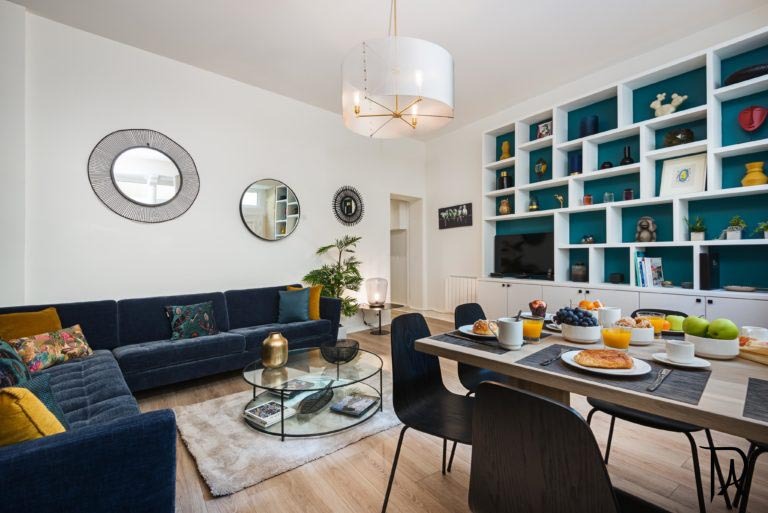 Probably the best way to tell you how much we enjoyed the apartment is the fact that we would happily stay in the same place again and would recommend it to our friends and family. 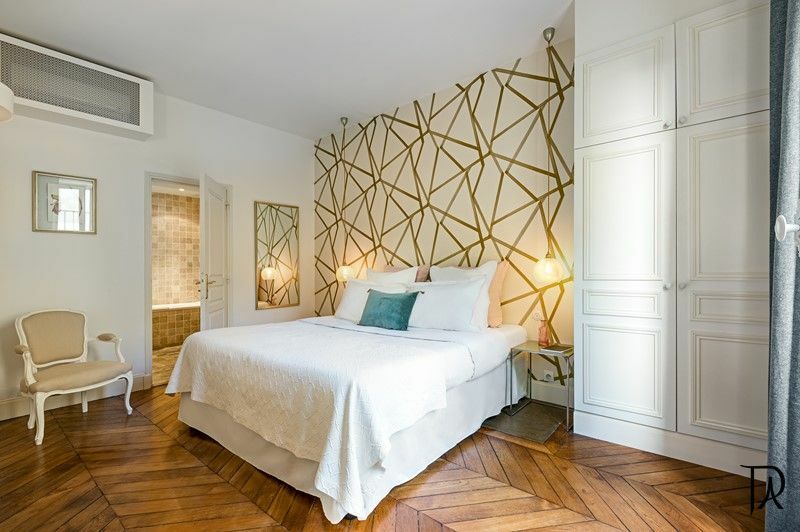 The service and professionalism of Paris Vacation Apartments was A+ from start to finish. We loved the apartment. It was charming, clean, quiet, safe and in a great location. Our trip couldnt have been better. We usually stay in Four Seasons Resorts, and the apartment was perfect, as far as I was concerned. I would definitely stay there again and I would recommend it to my friends and family. It has been a pleasure, plenty of place, we felt at home. 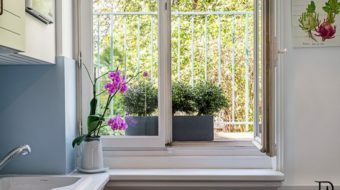 “The apartment was outstanding, everything that we could have wanted was there, including the location  so close to everything! Being able to organize a taxi, from and to the airport, through you as well was a big plus considering all the ski gear we had. We had an absolutely fab time. I am still suffering from withdrawal symptoms due to the lack of French bread here. I just love French bread! 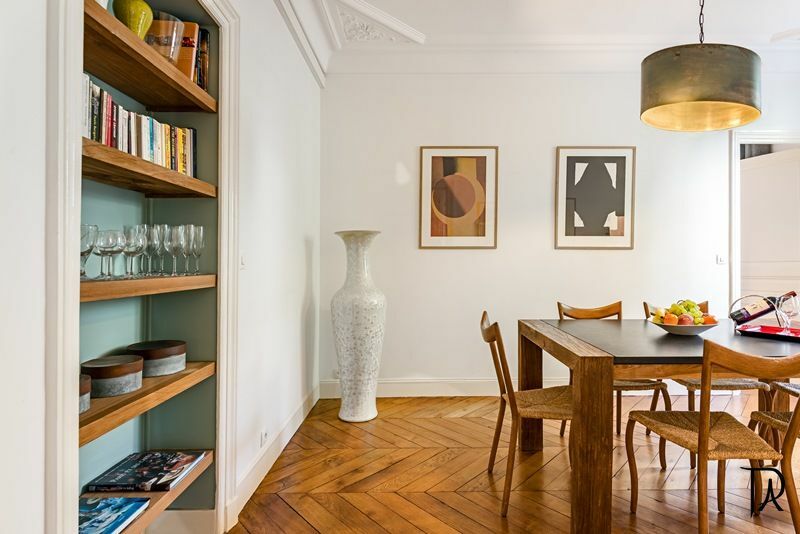 I would and have already recommended this apartment to other people who are planning on visiting Paris. 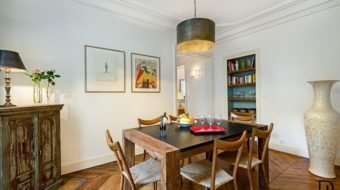 This apartment was a perfect solution for our Paris stay. Excellent location, beautifully outfitted, extremely quiet, wonderful bedding and bath facilities, well equipped kitchen, useful Internet access and TV, well restored ancient building with extraordinary character. 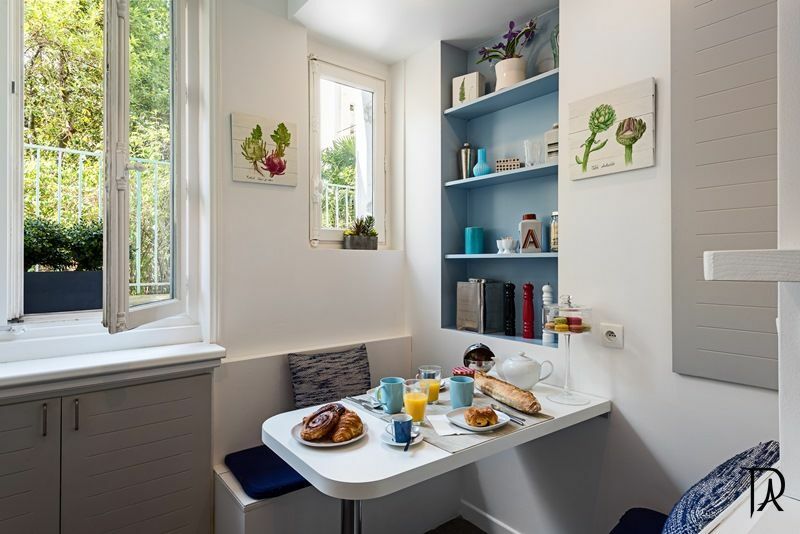 Service from Paris Vacation Apartments was extraordinary. From the standard package of information sent in advance to the prompt response for every additional question or request, we were thoroughly pleased with the company. Having a qualified representative meet us on check in, go over everything in the apartment and then help us on check out was a great touch. The apartment and the agency far surpassed our expectations. Just wish they were available in every city we visit. We stayed late August/early September with our 2 children ages 11 and 8. It truly was a perfect stay. The apartment was charming, clean, and well-stocked. 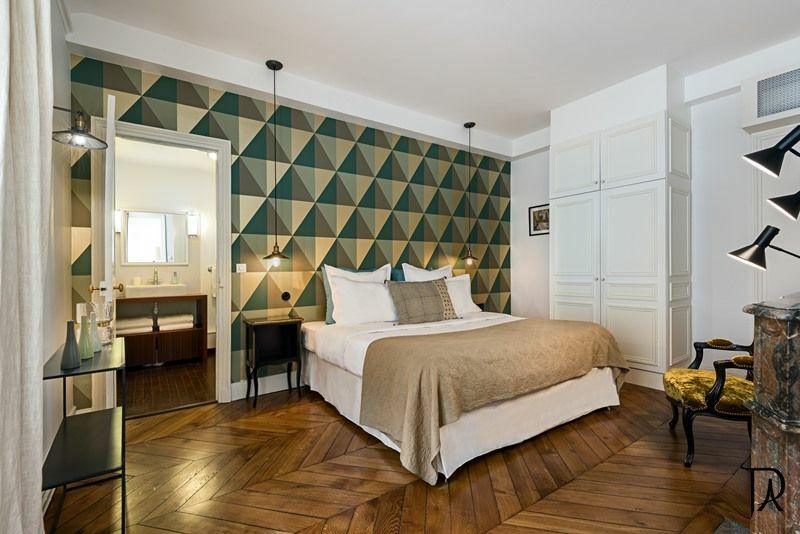 The location was great–short walk to many restaurants and shops, Notre Dame, Musee D’Orsay, Louvre, Seine boat tour leaving from Pont Neuf, and many others–also a very quick walk to the underground. The kids had their own bedroom/bath, which made it a great value versus staying in a hotel. Most mornings we walked to one of the many nearby bakeries for pastries. Fred was there when we arrived, and explained everything about the apartment and surrounding area. 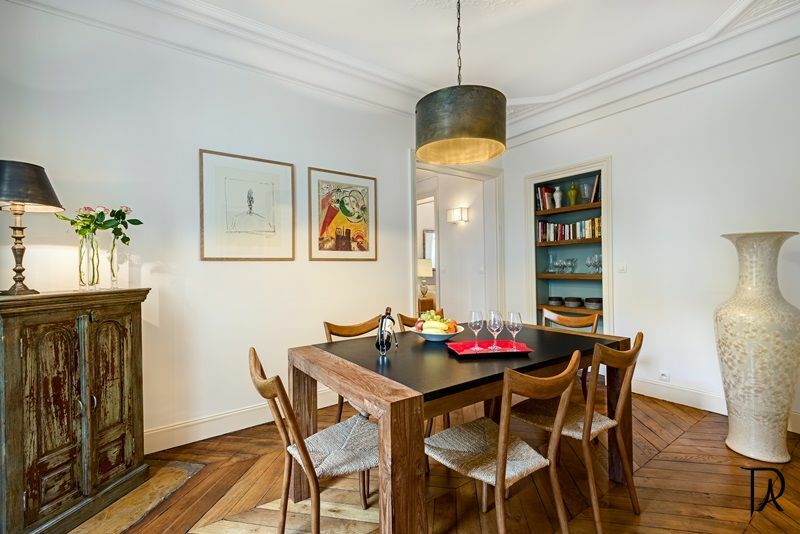 I would recommend this apartment, and PVA, to anyone considering a vacation rental in Paris. 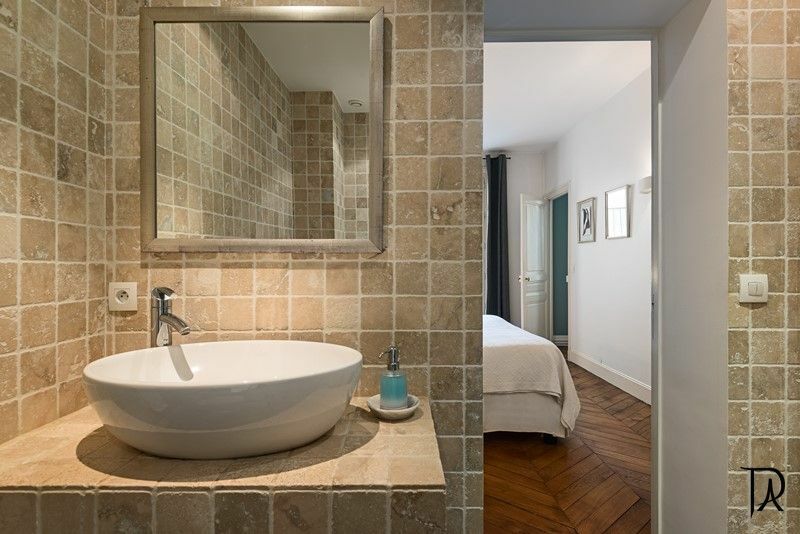 I would not hesitate to recommend this apartment to anyone considering a holiday in Paris. It was extremely well located, newly decorated, well thought out and contained almost everything you could want. In particular it was close to many excellent food shops and markets. The main challenge was deciding whether to eat out or stay in the lovely dining room, using locally sourced food and wine. The service from PVA was excellent. The pre-arrival information was very comprehensive and the apartment was exactly as promised. Fred, who was our primary contact in Paris, was fantastic and very helpful. We will certainly use PVA for our next Paris vacation. 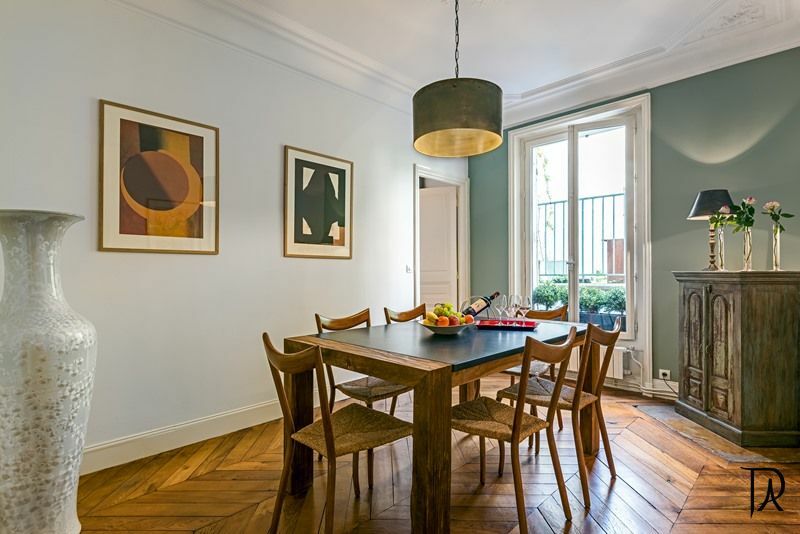 Our only decision will be whether to stay in this lovely apartment again or to experience a different part of Paris by renting another PVA apartment. We were traveling with a 7 month old infant and so we had many questions and requests. All the questions were answered promptly before we booked and PVA provided us with a new high chair, portable crib and even made sure that a food processor was available to make babyfood. The service could not have been better. The fresh flowers and croissants were a nice welcome upon arrival. As for the apartment, it was everything that the site represented it would be, though it seemed bigger than the photos. The apartment could easily accommodate two couples. 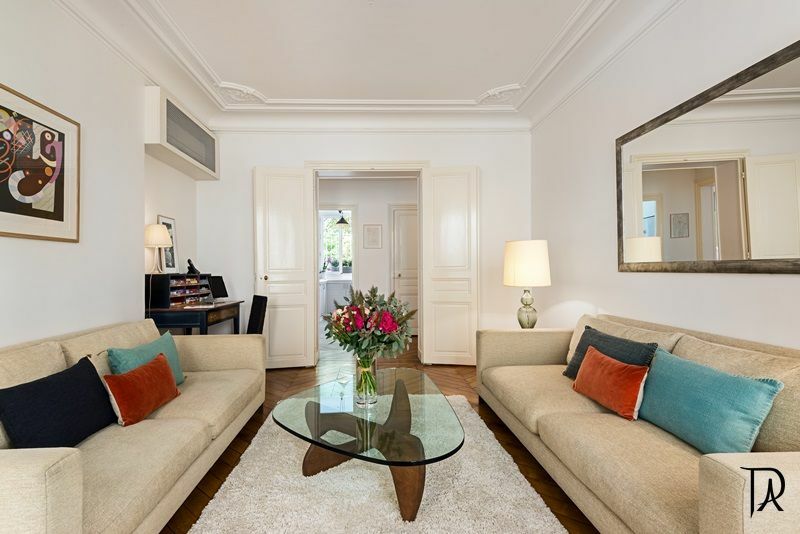 The best feature about this apartment is the convenient, trendy and picturesque location. We were able to walk to most sites and restaurants which was great given we had an infant with us. As well, there are plenty of bakeries, flower markets, supermarkets and delicatessens nearby. I would also recommend using their car service to and from the airport. 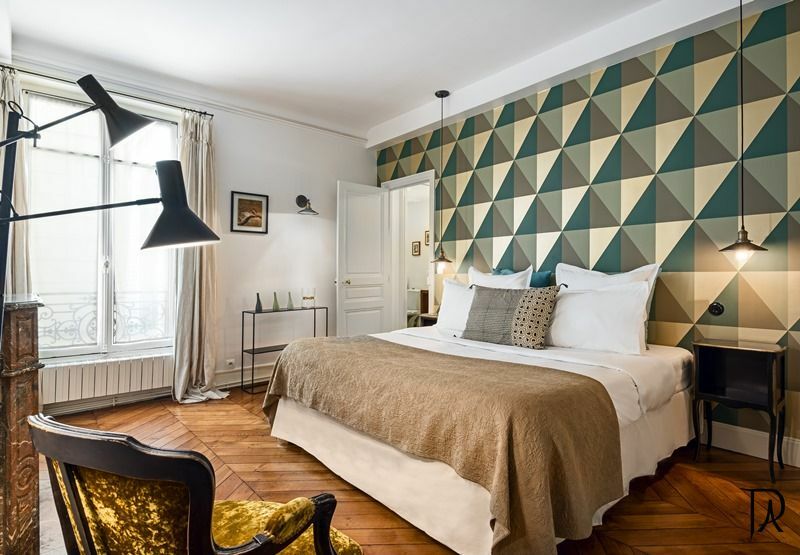 We would definitely book our next accommodation in Paris with PVA.